Philadelphia police have identified a partially clothed man and woman who were shot to death inside an SUV near a historic mansion in Fairmount Park and referred to their killing as a "crime of passion." Shakoor Arline, 25, and Lisa Smith, 32, were found shot in the head inside a white Toyota Sequoia at the park's Lemon Hill Friday afternoon. Police said the two were in the back seat of the SUV with Arizona plates. A back passenger-side window was shattered by gunfire. Arline was naked while Smith was partially dressed, according to investigators. 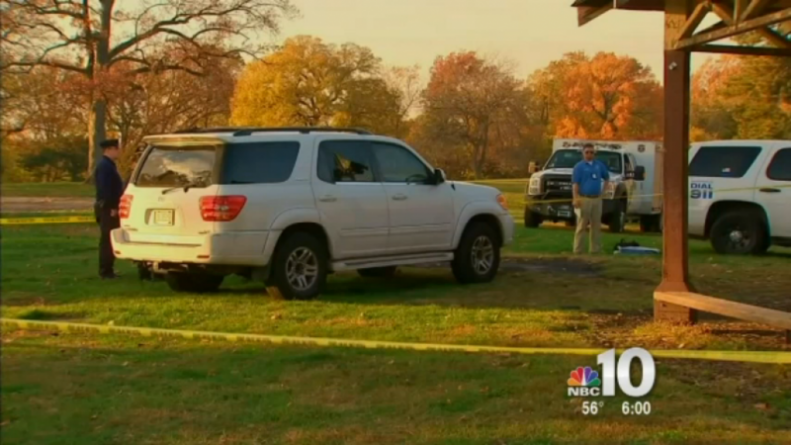 A maintenance crew found their bodies inside the SUV parked at the hill, just north of Boathouse Row and yards from the historic Lemon Hill Mansion. The crew was emptying trash cans at a picnic pavilion just off the 800 block of Lemon Hill Drive when authorities said they noticed the SUV parked in an unusual area near a gazebo and went to investigate. The victims each suffered several gunshot wounds to the head, police said. During a press conference Monday, investigators revealed the gunman fired nine shots at close range and referred to the shooting as a "crime of passion." "I can tell you from the crime scene, it appears to be very much a crime of passion," said Philadelphia police Capt. James Clark. "We've got nine shots fired, all of them head shots, to both of the victims." While police initially said Arline and Smith were dating, they revealed Monday the two victims were also in relationships with other people. "We know that they had a relationship, but also they had outside relationships, so obviously that's where our investigation is going to start," Clark said. "Because somebody knew that they were in the park at that time and obviously had an issue with that." Police said they have interviewed an unidentified woman in connection with the shooting but no arrests have been made. They continue to investigate. Tipsters should contact 215-686-3334 or text a tip to PPD TIP (773847).